This photo of a four-piece water set was sent to me by Greg Lockhart. This is the name he chose for it as he could find no reference to any similar pattern. He checked with Barb Chamberlain who said they have one in their collection and use the same name. 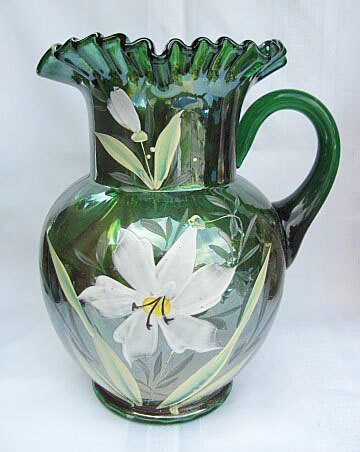 Updated 3/15/2019 Tom Burns sold this green pitcher in 2014. It brought $100. It came from the Richards collection. 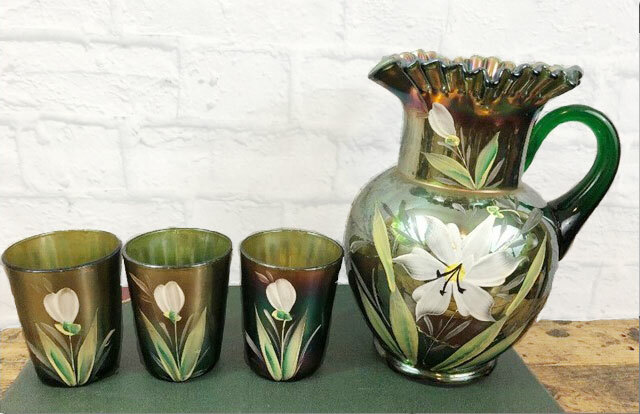 Tom also called it Enameled Lily.